Canturi Renaissance micro scalloped diamond band with round brilliant cut diamond set in 6 claw Dream setting. In 18kt white gold, also available in yellow gold or pink gold. 'Stella' ring in 18ct white gold with emerald cut diamond. 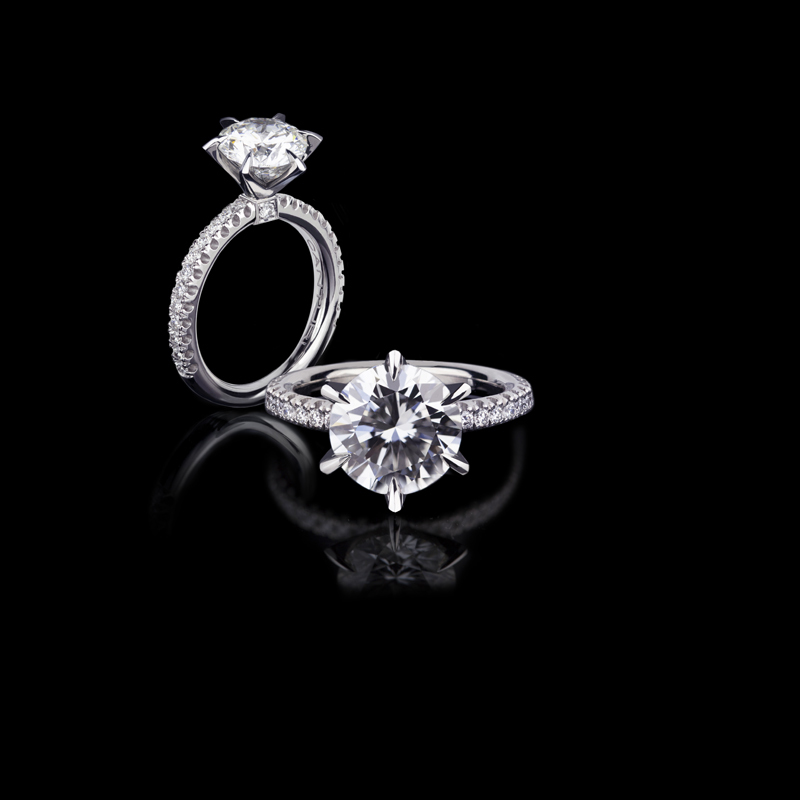 Also available in Cushion, Oval, and Round brilliant cut diamond. Canturi Odyssey full diamond butterfly earrings in 18ct white gold, also available in yellow or pink gold.